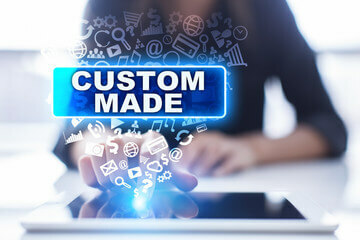 Home › Blog & Articles › Why Do People Order Custom Software? Why Do People Order Custom Software? While the cost of custom development can be expensive, it is sometimes more expensive to find all the necessary technology solutions to meet all the needs of a business. For instance, we’ve had customers call us to manipulate a pre-packaged software solution to work for their business. One, in particular, had purchased 5 different software solutions. They were a manufacturer of racing engines, and they built those engines on an assembly line. They purchased a Point-of-Sale application, an inventory tracking application, a vendor management application, a project management application and finally a merchant services application. As you can imagine, having all of these applications individually meant re-entering information over and over again, aggregating data from each system to see progress, and reporting on each system separately. This was slowing down their processes to where they decided to continue doing things the old way (on paper). In this scenario, and as in many scenarios like this, a custom solution was the better option. The ability for each system to talk to each other, and having data normalized across the business process is priceless. The cost of building such a system ran into the $70k to $80k range. However, all of the pre-packaged solutions combined had cost them over $100k in licensing fees that were recurring year-after-year. This example didn’t take into account the opportunity costs of losing business due to inefficiencies in the process, errors during production because of communication breakdown, etc. So, in their case, it was more expensive to NOT go after a more customized solution. In the end, the word expensive becomes relative. The true costs of not having a custom solution can be huge for some businesses, yet meaningless to another. At my company, we work with businesses to determine these options. I’ve witnessed small and mid-size companies grow and succeed due to custom solutions that we’ve built. However, we’ve built some custom solutions that have sat on a shelf until the business goes under. In conclusion, you really need to weigh the value of a custom solution to the end result. If the solution makes a business more efficient and reduces costs and/or increases a company’s profit, then it’s a viable solution. As long as your ROI (Return on Investment) is positive and significant, then a custom solution is the best option. Lastly – one of the biggest reasons that shouldn’t be ignored – a custom solution adds intellectual property value to the business, therefore making it more unique and valuable.